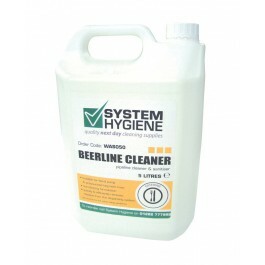 System Hygiene Beerline Cleaner is both an effective cleaner and sanitiser of beer lines and pumps. 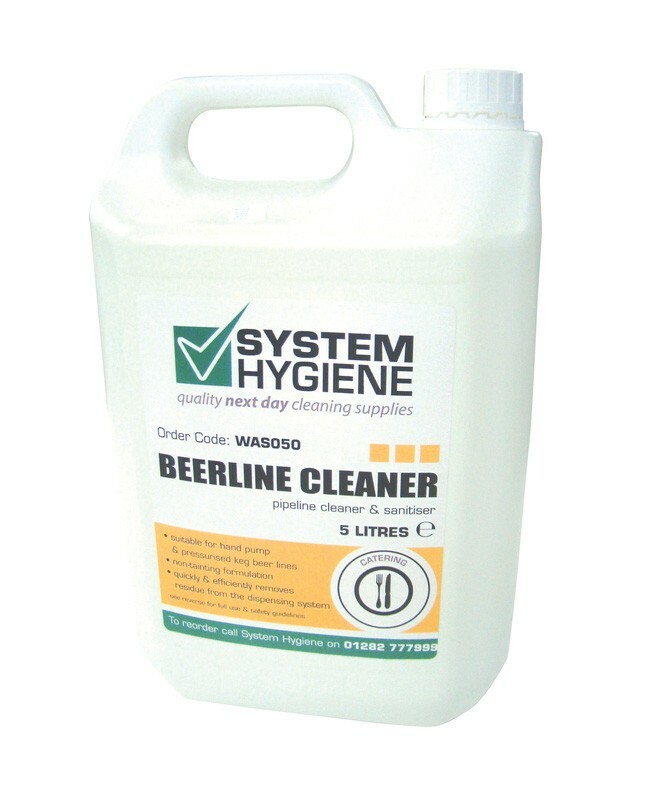 The cleaner is suitable for use with both hand pumps and pressurised keg lines, developed with a non-tainting formulation leaving the lines clear of nasty tasting chemicals once rinsed through, effectively removes yeast, protein & residue from the dispensing system. A concentrated blend of alkalis and hypochlorites. Dilute to approximatley 1 to 100 parts with water (50ml per 5Ltr), and leave in contact with the pipe lines and pumps for around half and hour. Rinse throughly with fresh, clean water before using the equipment again.